It’s been a while since I have been able to really sit down and write a review of some recently released albums that I have received. Despite the lack of print, I have never stopped listening to the many offerings that come my way on a weekly basis. I usually try to feature an in depth review of one album at a time, but I thought it might be useful to do a more succinct write up of a couple of albums by two saxophonists, previously unfamiliar to me, that I found interesting. Tenorman Jurgen Hagenlocher has a noteworthy offering titled Leap in the Dark . With able assistance by a stellar supporting cast including Alex Sipiagin on trumpet, Dave Kikoski on piano and Rhodes, Boris Koslov on bass and Nate Smith on drums, the album is an enjoyable compilation of original music by the forty-five year old saxophonist from Germany. There is strong front line simpatico throughout, listen to the lead track “Pollyanna”. Sipagin and Hagenlocher have developed an intuitive symbiosis by performing together regularly since 2008. Hagenlocher has a smooth Dexter Gordon-like sound especially on the lyrical “The Myth of the Dreamcatcher.” Kikoski is a marvelous, under-appreciated accompanist who shines on both acoustic and electric piano. Bassist Koslov can be a formidable soloist in his own right and drummer Nate Smith is superlatively understated but steadfastly present. On the title track “Leap into the Dark” a mellifluous flugelhorn solo by Dave Holland alumni Sipiagin, reveals his continuously developing talent. A dreamy Rhodes solo by Kikoski floats on a cloud. 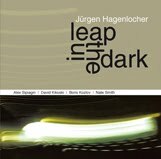 For those who like evocative ballads the lamenting “April’s Mood” fills the bill quite nicely as does the reflective “Dark Turns Bright.” Hagenlocher is a talented player/composer and Leap In the Dark is a solid outing of straight contemporary jazz by a tight professional group. I was unable to find a video from this latest group but here is a taste of Hagenlocher's playing. 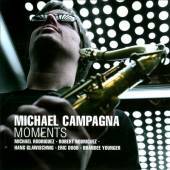 Saxophonist Michael Campagna released his Moments, an album he says represents his own personal expression of those moments in time when he finds himself ready to compose, moments of heightened awareness. He has taught music at his alma mater at the University of Miami as well as the New School and The Paganini Conservatory in Genoa, Italy. 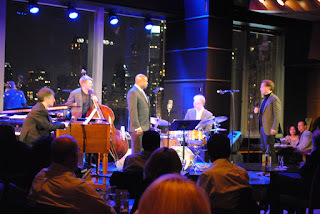 He is joined on this outing by the trumpeter Michael Rodriguez, the pianist Robert Rodriguez, the bassist Hans Glawischnig, the drummer Eric Doob and the harpist Brandee Younger. Michael Campagna introduces you to the easy listening “Summer Rain,” which at times has a feel reminiscent of early Jay Beckenstein and Spyro Gyra, but then in a complete turnaround, the saxophonist does a beautiful tribute piece to John Coltrane titled “Dear John.” Campagna’s horn is deeply evocative of a reflective, lyrical player in the style of Coltrane. He deftly incorporates the mystical sound of Brandee Younger’s harp and the soaring trumpet of Michael Rodriguez in this most interesting homage. “Journeys” is an undulating conversation between Rodriguez on trumpet and Campagna on tenor, nicely supported by the tight rhythm section. On his light and airy “Celestial Romance,” written for his wife’s mother Anna, and later on “Bridges” Campagna shows his ability to play flute with a delicate wispiness. “Midnight Whistle” offers a distinctively Coltrane inspired sound that is again accentuated with Younger’s heavenly harp. The frontline of Rodriguez and Campagna play well together, at times in deliberate counterpoint to each other. The thirty-three year old Rodriguez, who has played in formidable big bands led by Charlie Haden and Toshiko Akiyoshi, is a maturing voice on the trumpet that shows great poise and promise. Coltrane inspired compositions continue on this outing with “You Are All” which starts out with an unusual modulated bass introduction by Glawischnig and some inspired playing by Campagna. Younger again evokes Alice Coltrane’s celestial sound on harp. Pianist Robert Rodriguez, who plays with vibraphonist Joe Locke's Force of Four group, offers a solid solo on this one with some nice comping by drummer Doob. “Song for Monica” and the inspiring “Hope” round out this rewarding album. 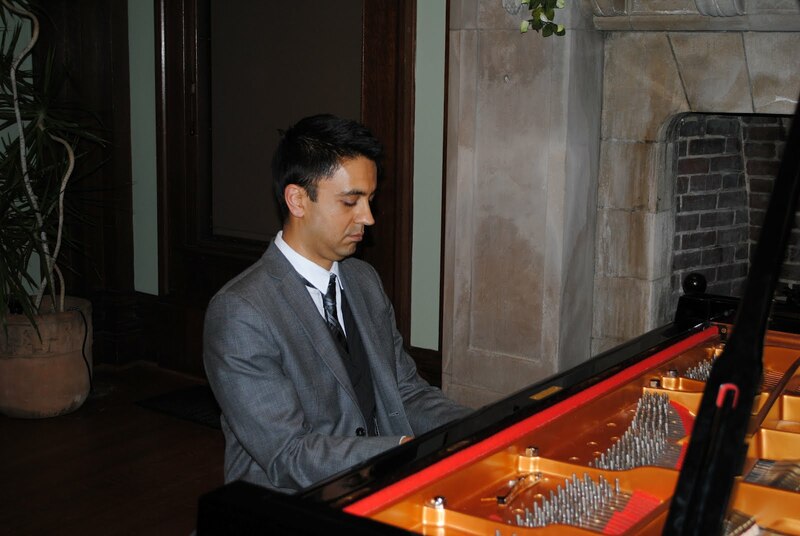 The pianist Vijay Iyer is one of the most celebrated jazz musicians of his generation. He has garnered an endless collection of awards from the press,a cult-like following by his fans and deserved respect and recognition from his fellow musicians. With this in mind, it was with anxious anticipation that I ventured to the Carnegie Room at the Nyack Library to see this phenom play solo piano. The Rockland County Jazz and Blues Society is one of those vibrant organizations that for twenty-five years has been promoting both the heritage and the appreciation of jazz and blues music. In addition to Mr. Iyer, the President, Richard Sussman, a gifted pianist in his own right, has presented special performances by pianists Rachel Z and the tasteful Kenny Werner this season. The Carnegie room is an elegant setting. With its warm wood details and its limestone clad fireplace, the room's large open hearth is used as a backdrop, framing the gleaming black Yamaha Grand piano at center stage. Seating just one hundred, it is an extraordinarily intimate setting for piano or chamber music. The forty year old Mr.Iyer was impeccably dressed in suit and tie. He approached the piano with a perceived reverence, took a seat, closed his eyes and after brief reflection began with a tune by Thelonious Monk titled “We See”. The unorthodox approach would have made the old master of quirky melodies proud. Mr. Iyer produced a rhythmic undertone by the repeated use of single note motifs with his left hand. The tune was vaguely familiar to those who know Monk's music but thoroughly individualistic. That seemed to be the theme of the evening, as Mr.Iyer has a harmonic language that defies convention or predictability. The second song was one of Iyer’s own compositions titled “Spellbound and Sacroscant” from his 1995 release Memorphilia. The beautifully evocative piece was a fascinating exploration. Watching his fingers I was reminded of lithe spider legs moving ever so delicately, although at times with astonishing speed, over the keyboard. His legato right hand produced expansive ideas as the ostinato of his left hand held you riveted. He showed a mastery of dynamics as he modulated from whisper-like pianissimo to thundering fortissimo throughout the piece. The third song of the first set was a composition by the pianist Andrew Hill, like Monk another of Mr. Iyer's admitted inspirations. The song was played in 7/8 time and titled “Siete Ocho.” Mr. Iyer stabbed at his keys punctuating each note. At times he created a drone-like sound ,but his approach was true to both Mr. Hill’s tricky rhythmic and harmonic sensibilities. Mr.Iyer gave a thoughtful introduction to his next composition “Autoscopy” which he explained is a musical expression of having an out of body experience. 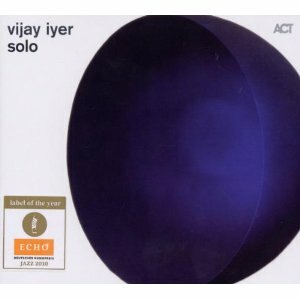 As if in a trance, with eyes closed and hands starting slow and deliberately, Mr.Iyer created an eruptive cauldron of sounds. His hands blurred as he frenetically cascaded up and down the keyboard in a wild display of free expression. He was euphemistically deconstructing his own atoms, ultimately floating above the music he was creating. The highlight of the evening was Mr.Iyer’s magical re-construction of Coltrane’s “Giant Steps”. The tune started off deceptively concealed by Mr.Iyer’s clever introduction, but when the distinctive line was finally exposed it became apparent at how authentically original Mr.Iyer’s harmonies can be. The first set ended with a more traditional telling of the Duke Ellington classic “Black and Tan Fantasy” where the pianist's stride-like left hand comping was a nod to the tradition of the old masters like Ellington himself and Ellington's inspiration Willie “the Lion” Smith. The second set included another piece by Thelonious Monk, this time the more familiar “Epistrophy,” which Iyer performed beautifully and which he recorded on his 2010 album Vijay Iyer Solo. Iyer’s own “Abundance” from his Tirtha album of 2011 was just that, a sumptuous feast of beautiful sounds. A spellbinding version of “Tangerine” provided a Tristano connection. An Art Tatum-like approach to “Darn That Dream” was Iyer’s one concession to the great American songbook, again played with a glancing nod to the tradition. Iyer introduced the next song., "Patterns", by explaining its genesis, a Southern Indian tradition of creating geometric designs in sand. Mr. Iyer ended the evening of music with a dedication to another of his inspirations, the extraterrestrial bandleader Sun Ra. The composition titled “One for Blount,” an allusion to Sun Ra’s real name Herman Poole Blount, featured Mr. Iyer’s use of double handed block chording in a stirring finale. Vijay Iyer is a musical force to be reckoned with. According to his bio, he is a polymath, a person whose expertise spans a significant number of different subject areas. With degrees in mathematics, physics and a Ph d in Technology and the Arts, it is no wonder why his music is so fascinatingly fertile. His complex harmonies and creative use of rhythmic devices are all designed to stimulate the cognitive mind while at the same time reaching out to touch the humanity in us all. It will be a fascinating journey to follow his musical development as he continues to push the limits of his music. energetic and joyful Wilson, with his infectious smile, his call out encouragement and his toy box of percussive magic that makes it so special. On this evening I got to sit in for the last few numbers of the first set and all of the second set. 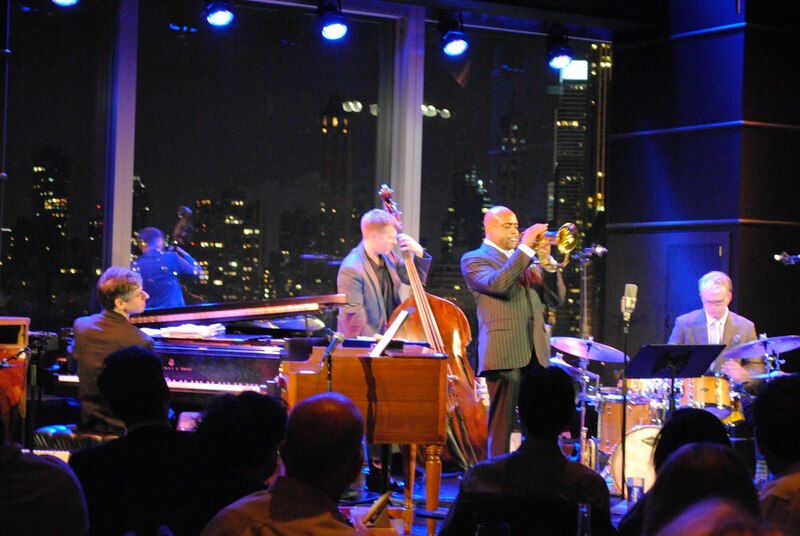 Dizzy’s is a world-class venue that seats about 150 patrons at both tables and on stools that line both the perimeter as well as the bar. 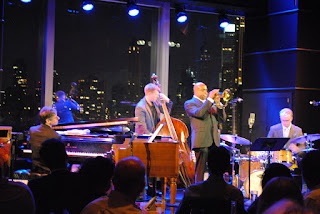 With a generous stage that backs up to a glass wall featuring the sparkling Manhattan skyline as its background, Dizzy’s is clearly one of the most spectacular settings to see world-class jazz. Toward the end of the first set the quartet was playing a rousing version of the Nat Adderly song “Little Boy With the Sad Eyes.” With the rhythm section of Wind and Wilson leading the charge on drums and bass, Versace pulsed out the melody line on the B3, and Terrell Stafford showed why he is such a powerful force on the trumpet. After the group whipped the audience into a frenzy, Wilson took to the microphone to explain the special significance of the next song that would close the first set. “There’s No You” was dedicated to the group’s founding bassist, the late Dennis Irwin, who passed away in 2008 from cancer. The stage was left to Stafford to play the moving ballad acappella as he does on the album. The veteran is capable of creating great pathos with his horn and here he had the audience mesmerized as his soulful rendition reminded us about how moving a solo trumpet can be in the right hands. “We See” and featured a Stafford solo that eked out notes in the high register with extraordinary ease. Versace, this time on piano, is a talented player who has a penchant for using space brilliantly, playing sparingly between the beat. 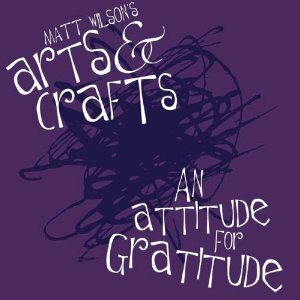 Anytime you look at Wilson all can see is an endearing, child-like countenance that is infectiously joyous, all the while keeping impeccable time and offering a myriad of percussive ideas. His enthusiasm is expressed in both his playing and in his constant encouragement that he offers to his fellow musicians on stage. It is no wonder that the album has a generally feel good vibe that is indicative of musicians enjoying both the music that they are playing and their fellow musicians. The normally cheerful “Happy Days Are Hear Again” was played in moody, melancholy almost dirge-like way. Stafford took to the more warm-toned flugelhorn for this one, as Versace delicately accompanied behind the expressive horn. When the pianist did solo, he would lay back for two or three measures at a time before adding notes sparingly, letting Wilson and Wind carry the slow empty beat for emphasis. After that gymnastic workout, the group gave Mr. Elling a bit of a break allowing him to sing the ballad “Embraceable You.” It was a real treat to hear the man’s wonderful baritone interpret the classic and it once again inspired Mr. Stafford to play one of his most stirring solos of the evening, a New Orleans’ tinged mini masterpiece. 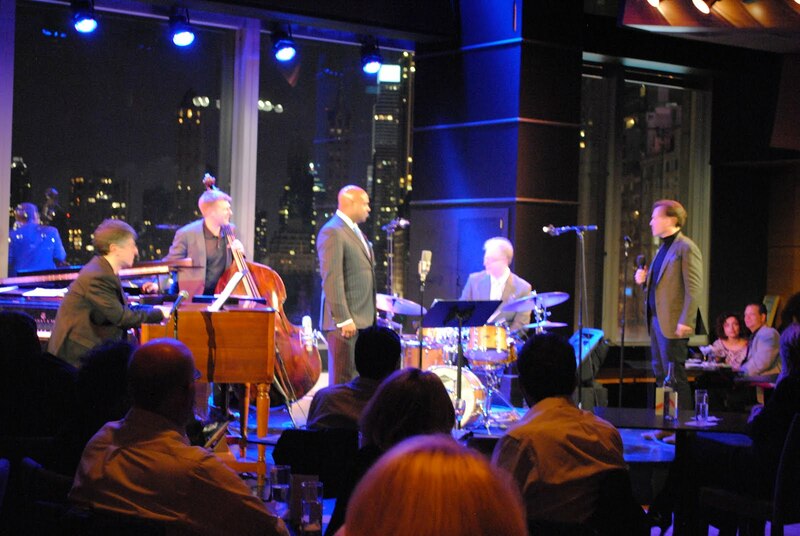 As can only happen in New York, the audience had just witnessed one of those rare moments in jazz where the stars align. The set concluded with the Jaco Pastorius burner from the Heavy Weather album, “Teen Town,” which is also on the latest album. Bassist Martin Wind had to play the formidable bass line on his contra bass, which he did flawlessly. Versace’s organ started off the melody line and then Stafford’s trumpet mimicked the same line in unison. When Versace got a chance to let loose on the B3 it was a joy to behold, he can make that monster swell and swoon. Stafford took it to another level and Wilson pounded his traps relentlessly, shouting encouragement and smiling broadly throughout. The audience left knowing they had been privileged to one of those rare great nights of music.